As I sit in my Philadelphia apartment trapped again by yet another massive winter storm (if the last one was “snowmageddon” this one is more like a “snurricane”) I listen to Fool’s Gold, and dream of the warm places the band evokes. The group hails from southern California, their lead singer Luke Top was born in Israel (and sings most of the band’s songs in Hebrew). 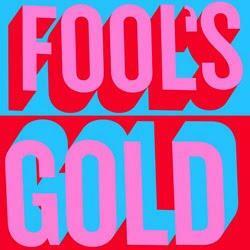 Fool's Gold's music conjures a tropical Afro-pop sound that Vampire Weekend only wishes it had. I watched the video for “Surprise Hotel” at work the other day with a co-worker as the snow poured out of the sky from our icy second-floor window. “I guess if Paul Simon can do the whole Afro-pop sound and get away with it, these guys can,” she said. I would agree. I also would like to borrow their sun, their palm trees, their pool, and their cheerful grandparents for just one weekend. I would be willing to listen to “Surprise Hotel” the whole time if they’d let me, and frankly, I wouldn’t mind at all.